The 2014 CMT Music Awards are live tonight at 8 p.m. ET/7 p.m. CT, and just because your musical tastes may lean more Kanye than Kenny, or more Adam Lambert than Miranda Lambert, doesn't mean there's not something in it for you. Plus, it's a live awards show, which means pretty dresses and perfect hair and also means that Luke Byran could fall! Wait. Don't know who Luke Bryan is? Okay. This not-so-country guide to the CMT Music Awards is even more for you than I thought. 1. Fall Out Boy is nominated! Yes, that Fall Out Boy. They're nominated for a Performance Of The Year Award for their CMT Crossroads performance of "My Songs Know What You Did in the Dark" with The Band Perry! 2.) Kristen Bell is hosting the show! Yes, she's certifiably the cutest human being, and she can sing! She can dance! She can act! And she can HOST, for the third time! 3.) Jason Derulo is performing with Luke Bryan and Florida Georgia Line!! 4.) John Legend is performing "All Of Me" with Jennifer Nettles and HUNTER HAYES! ...And alllllll of me will cry allllll the tears! 5.) 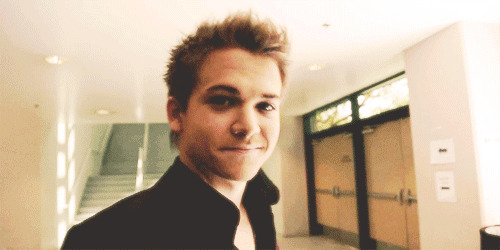 HUNTER HAYES!!!! HE'S NOMINATED AND PERFORMING! 6.) LUKE BRYAN BODY ROLL! He's performing, and he's nominated, and he loves beer and he can't stop falling, and I MEAN... COME ON! 7.) Carrie Underwood and Miranda Lambert will perform "Somethin' Bad" together! SLAY, YOU BRONZED BLOND QUEENS! 8.) Little Big Town will perform live! Such good songs, such good hair. 9.) Three words: PARTY. DOWN. SOUTH. Correct. The "Party Down South" cast will attend the CMT Music Awards. Unsupervised. And you thought "Jersey Shore" was raw.